Your favourites in an intriguing variety of shades! 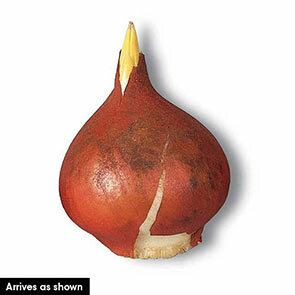 Introducing an exclusive mixture of special tulip sports. 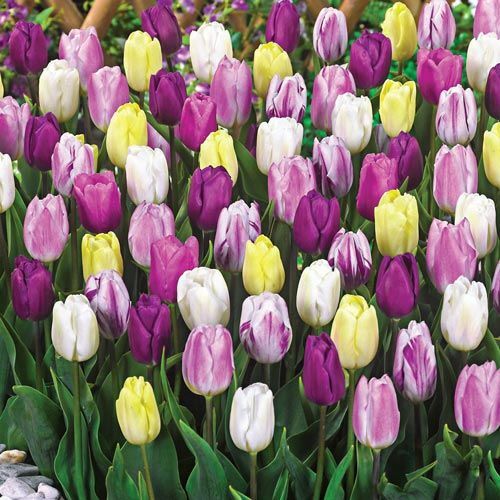 Containing new varieties that have sprung spontaneously from 'Purple Flag', this handselected blend features large, cup-shaped blooms in a bevy of bright hues. The entire mix emerges in mid spring to deliver a rainbow of colour to borders. Sturdy stems withstand wind and rain with ease. Plus, they're long lasting in a vase. Flower Form 31/2" upright, double, bell or funnel shaped.